Every household is different when it comes to doing the school run. As Mr Boo works some 30 miles away from where we live the school is generally completed my myself however whenever Mr Boo has a weekday off he like to take the children to school. Not completely the school run on a regular basis there are some things that needs reminding off in order to make it as stress free as possible. The school run doesn’t start from the moment you leave the house in the morning, it starts from the minute you wake up. Making sure that the children are up, washed, dressed and have eaten breakfast in a timely manner can be a struggle. Add in making sure that they have their school bags packed including lunch boxes (if appropriate), then the put your school shoes and coat on battle commences and this is all before you have left the house. By the time you have left the house you need to make sure you have either left on time (miracle) or need to make up lost time on the actual journey. Ensuring that you have a watch/mobile with you to keep an eye on the time whilst you are getting to school will let you know whether you need to incorporate a bit of rivalry into the school run with ‘let’s see who can run to the next lamp-post the fastest‘ etc. Depending on how far you live from the school will influence your transport options and whether or not you have to drive etc. However wherever possible it always good to get the children walking, scooting or riding their bikes on the school run. 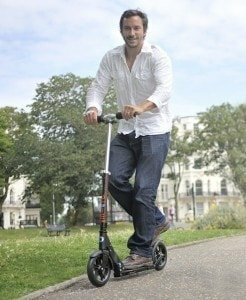 Dads don’t need to miss out on the action and I suggest getting an adult micro scooter not only will it keep you fit, it will also allow you to have some fun with the children on the school run with scooter races etc. I don’t mean to be sexist here but I would say that the vast majority of mums never leave the house without either a packet of tissues or baby wipes in their handbag. As men generally speaking don’t carry handbags they usually stuff everything into their pockets, carrying tissues or baby wipes might seem like something that they don ‘t need to do however trust me dads when I say that these are essential. From wiping snotty noses, cleaning hands after a fall and scrubbing mysterious dirt patches found on their school uniforms you’ll be pleased that you had these to hand. Do as I say and not as I do doesn’t count on the school run, if you expect your children to wear a coat and hat then you better be prepared for the ‘but you don’t have a coat/hat on’ comeback from said children when you try to get away with not wearing them. 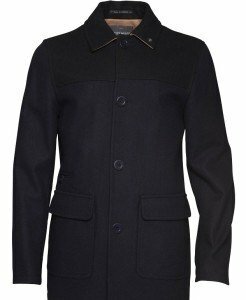 Ensuring you have a good coat whether it be the latest jacket from M and M or an old favourite will not only help win the coat battle with the children but keep you warm and cosy on the school run (especially as ours in walking down the seafront – lovely in the summer, freezing the in winter). Patience is a virtue – so the saying goes and remembering this on the school run will go along way. From the grumbles about legs being tired and feet aching, to can you carry my bags they’re too heavy, to the bickering of ‘I want to be the leader‘. Whilst there will be times when you need to jolly the children along you also need to pick your battles so if it means carrying their bags so that they will walk nicer and quicker then so be it. What would your school run essentials for dads include? Very funny! I would add to that list, the address of the school! Great tips! I’m lucky that my husband does do the school drop off several times during the week but he does need a bit of help, he definitely struggles with the time keeping and he relies on me to remember who needs to take what, who has swimming etc. and to get all the shoes and coats ready. By all accounts the children are much better behaved for him though, they don’t muck around and complain when he takes them! Mine would never survive the school run as he doesn’t chivvy them along enough. My husband would forget EVERYTHING if responsible for the school run!